Atmosphere Control International (ACI) is the world’s leading supplier of air purification equipment for surface ships and submarines and the supplier of choice for many international navies. ACI supplies integrated life support systems to keep breathable atmospheres on-board submarines. Our main solutions include oxygen generators, regenerative carbon dioxide systems and carbon monoxide eliminators. ACI is also the supplier of Texvent, the leading textile ventilation ducting technology for naval platforms. Submarines are confined environments where CO2 and other atmosphere contaminants are accumulated, and may cause safety and life support issues if they are not eliminated by removal systems. For more than 40 years ACI has successfully supplied sea-proven regenerative CO2 removal systems (CO2 scrubbers) to various submarines programmes around the world. The CO2 scrubber uses a regenerative liquid absorbent to remove carbon dioxide continuously from a submarine’s atmosphere. The main benefit of ACI’s CO2 scrubber is the massive space savings provided by a regenerative liquid absorbent: the same absorbent is always regenerated to be reused again. As a result no additional quantities of absorbent are required for extended diving periods unlike non-regenerative technologies, such as soda lime, that require increased stockpiling of absorption material for long service periods. By using a liquid absorbent the CO2 scrubber is even simpler, more compact and more energy-efficient than other regenerative systems based on solid absorbents, making the ACI’s scrubber the best sea-proven CO2 removal technology for submarine applications. Carbon monoxide and hydrogen are harmful gases on-board submarines if they are allowed to reach their maximum permissible concentration in the atmosphere. ACI is the leading supplier of sea-proven CO and H2 removal systems. ACI burners constantly convert CO and H2 into carbon dioxide and water vapour through catalysts specially-formulated to sustain submarines atmospheres that contain high humidity and contaminants. The ACI’s CO/H2 removal systems are simple, compact and energy efficient. They require low maintenance and are in service on-board various submarines around the world. Texvent ducts have been successfully fire tested and approved against both military and commercial marine SOLAS standards and are a sea-proven product already in service on-board various ship classes such as mine hunters, aircraft carriers, submarines and frigates. ACI is the world’s leading supplier of oxygen generators for submarine applications. ACI’s latest technology, the combined oxygen generation system (COGS) is the result of more than 40 years’ experience in the fields of electrolysis and gas management technologies. 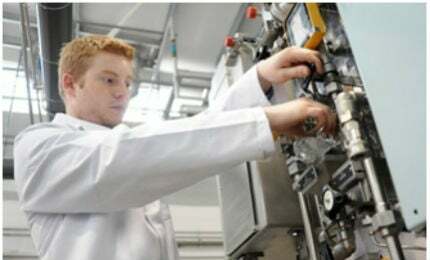 COGS is a unique integrated electrolysis technology that converts water into oxygen without any gaseous product rejected overboard. COGS is a sea-proven technology in service on-board the world’s most advanced submarines classes. ACI is a developed the smoke removal unit, a portable rapid fire response device that will clear a 30m3 compartment of smoke particles, restoring visibility so that actions can be taken in the affected compartment. The system also removes toxic combustion products to prevent damage of electronic equipment. SRU is suitable for platforms such as submarines and surface ships where confined living or working spaces can be contaminated by smoke. Simon Kings has been appointed managing director of the Corac Group subsidiary Atmosphere Control International (ACI). He will take over from Steve Cassidy, who retired on 31 July 2014 after approximately 25 years of working for the company.